Save money and reduce waste by reusing a wide variety of containers, etc. 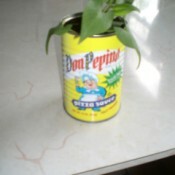 for planters. 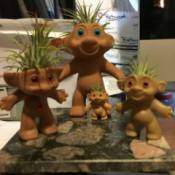 Air Plant TrollsThis project uses vintage Troll dolls. You remove their original hair and replace it with an air plant. You can add miniature items as accessories. You will need to mist them with water every week to keep the air plants alive. Self Watering PotSmaller potted house plants need more attention especially during the summer or 'plant sitting' if you go away on vacation. Also, both under and over watering can become a problem. 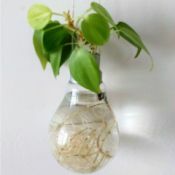 Light Bulb VaseThis is a project to recycle and reuse old lightbulbs. I've converted them into vases for my money plant. They look beautiful and are super easy to make. 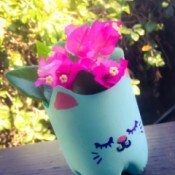 Plastic Bottle Animal PlanterUpcycle your used plastic drink bottles to make animal themed planters. The little nubs on the bottom of the bottle make for really cute and chubby animal legs!